British fashion house Alexander McQueen — known for its unique tailoring and audacious designs — has soft-launched a virtual store on the Tmall Luxury Pavilion, Alibaba Group’s dedicated platform for luxury and premium brands. Apart from its site, its Pavilion flagship will be the first online store in China that’s directly run by the house itself, rather than through a local partner, giving it full creative control over the look and feel of the site, the Pavilion said. The luxury brand was founded in 1992 by the late Lee Alexander McQueen, known for combining a respect for traditional craftsmanship with provocative, darkly romantic designs. Today, his eponymous label remains hugely influential, seen as synonymous with modern British couture. Following his death in 2010, Sarah Burton was appointed Creative Director of the house. Burton, who worked alongside McQueen for 14 years, currently oversees the creative direction of all the brand’s collections. 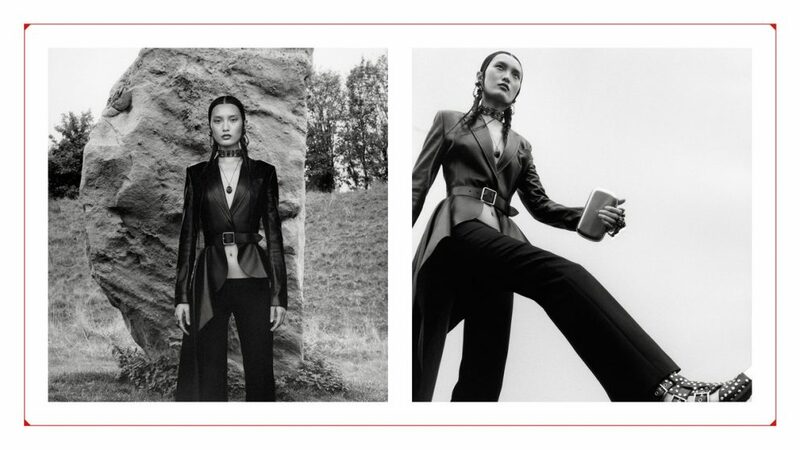 The Alexander McQueen brand oversees a network of 73 directly operated brick-and-mortar boutiques, as well as several franchises and specialty stores worldwide, with flagships stores due to open in Shanghai and Hong Kong in 2019, per its parent Kering Group. The Tmall Luxury Pavilion Alexander McQueen store will officially launch on April 16, featuring items that incorporate images from the John Daekin Archive as part of the designs. The Archive manages the work of John Daekin, the 20th-century British photographer who captured the lives of his artist and poet friends in London’s bohemia, Soho. Alexander McQueen is the third Kering-owned luxury brand to join the Pavilion, following Hong Kong-based jeweller Qeelin and Italian fashion house Bottega Veneta. Launched in 2017, Tmall Luxury Pavilion now offers more than 100 brands, ranging from apparel and beauty items to watches and luxury cars, including Valentino, Burberry, Tod’s, Versace, Stella McCartney, Moschino, Giuseppe Zanotti, MCM, La Mer, Maserati, LVMH-owned Rimowa, Guerlain, Givenchy, Tag Heuer and Zenith. Sherry Lang, managing director of Tmall’s luxury division, said the Pavilion helps maisons and premium brands engage with China’s younger generation of consumers, delivering the same brand exclusivity and tailored shopping experience online that they would get in a brick-and-mortar store. The growth of the Pavilion comes as Chinese consumers drive global high-end spending, with mainland China’s luxury sales growing 20% to €23 billion ($25.8 billion) last year, according to Bain & Co. The consulting firm forecasts that by 2025, Chinese consumers will account for 46% of the global market, up from 33% in 2018.